Made on a nickel free silver plated chain, I have added diamonte charms, like the key and padlock, a cocktail glass and high heel shoes. 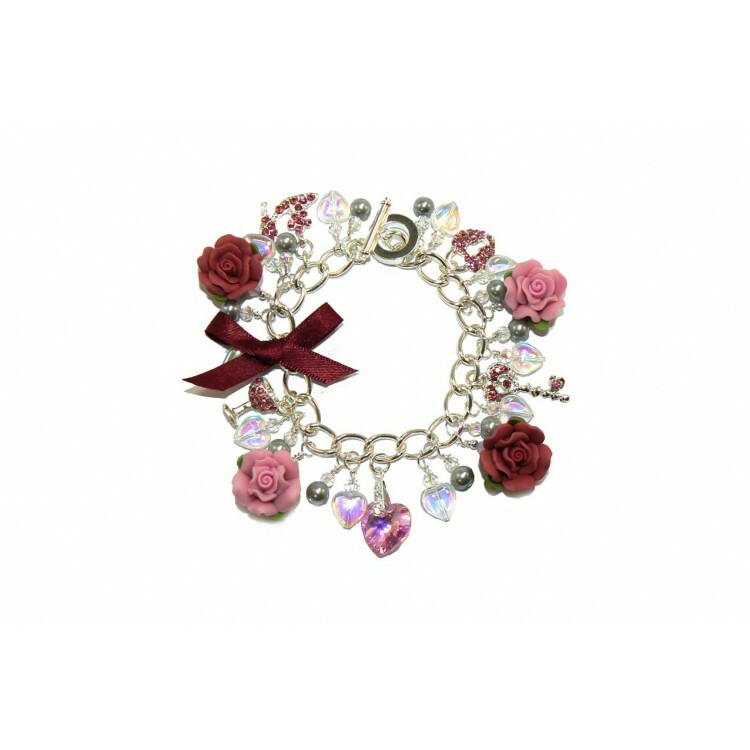 Also there are 4 beautifully crafted clay roses and a rosaline pink Swarovski crystal heart charm. It has been finished with clear AB coated crystal hearts and light grey pearls along with several opalite pink Swarovski crystal bicones.